Contact Form 7 is one of the most popular plugins with 5Milion downloads. So let list the best WordPress Themes that are compatible with Contact Form 7. 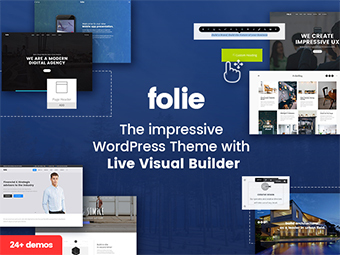 BeTheme is one of the most complete WordPress Themes with 350+ demos. Theme is on the popular section and one of the best rated on the market. Be is very light and the zip file is only 6M. The authors have choose WPbakery Visual Composer as page builder. Theme Options are managed by WordPress Customizer. Everything can be installed within a click. Revolution Slider is integrated to let you create fantastic sliders. The new version of the theme includes in house page builder called Muffin Builder. Be Theme is fully compatible with Contact Form 7 and use this plugin in different demos. Bridge is a creative WordPress Theme with 350+ demos that can be installed within a click. Theme have included the Visual Composer plugin and the Revolution Slider. There are 7 different portfolio layouts that can be configured and styled with Advanced Theme Option Panel. Options are built with the powerful Redux Framework. Revolution Slider is included so you can create complicated sliders loaded with effects. Qode authors have styled the Contact Form 7 perfectly for any single demo. Bridge is a fully compatible WordPress Theme with CF7. Uncode WordPress theme is fully integrated with Contact Form 7. Details are so important for Uncode so any border of input field of Contact Form is perfectly styled. This is the most important creative and clean WordPress Theme on the market. There are lot of demos of agencies and porfolios. Based on WpBakery Visual Composer WordPress Theme is so easy to build. Also authors have added the Content Blocks feature that makes the process faster. Theme is high rated by 1800+ clients. 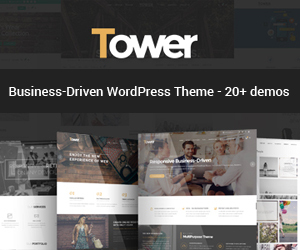 Total is one of the best Business WordPress Themes with lot of demos. This theme is very popular and use Visual Composer as Page builder. Contact form is fully compatible and used through theme demos. Revolution Slider is also included in the theme packaged. Total have more than 40+ Visual Composer modules. The page builder work also on front end in the latest updates. WordPress Customizer is used as Theme Options and is very reach with options. Clients can style any part of theme without need of custom coding. 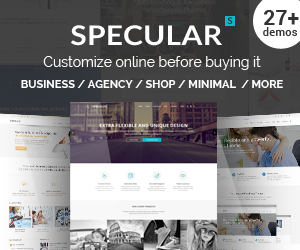 Specular is one of the first Business WordPress Themes with 28+ demos. This theme have sold more than 5000 license with great feedback. Theme is based on WpBakery Visual Composer plugin one of the best page builder on the market. Also this product is loaded with different fully templates not only demos. I write templates because when you install a Specular you will receive a ready website with all pages and different styles. Every template you will choose to install from Specular is fully compatible with Contact Form 7. Any different demo have a fresh new contact form styled to fit overall design. Revolution Slider, Codeless Slider will help you to create amazing and simple sliders for your pages. Specular offer a Setup Wizard to make also the installation process easier. The theme name fits perfectly with the theme characteristics. Theme is easy to use with integrated plugins and an Adanvaced Theme Option. Installation process is the best part when you install with three simple steps: 1. Plugins 2.Content 3. Insert Logo. Revolution Slider slides are installed directly with Setup Wizard. Theme have 20 + page builder elements that make it complete. The Simple have 30+ Demos that can be customized within few clicks. Theme is fully compatible with Contact Form 7 and have integrated it in different part of website. This is definitely a business WordPress Theme with Advanced Options and lot of demos. Averon is one the latest WordPress Themes that have conserve the clean business theme styling. If you are searching for a small business templates don’t remember to check it. The theme comes with WPBakery Visual Composer and Advanced Redux Framework. Theme have 100 + Visual Composer Elements that can also be customized in color and styling. The Contact Form 7 plugin is used in any demos and styled for different needs. Forms can be found from the header to the footer in different styling . Impreza is an astoundingly resourceful, exceptionally flexible, entirely contemporary WordPress receptive multi function theme. Uniquely efficient in handling the layout as well as building of a range of sites that is unimaginably wide and also large. WpBakery Page Builder and extended theme options make theme very flexible to use. Theme is compatible with Contact Form 7 and Gravity Form. This is the best Portfolio WordPress theme. Kalium is also winner of some design awards for the cool and minimal demo styles. If you want to create a simple and functional portfolio website this is the best choice. You can build the website with Visual Composer and edit the options with WordPress Customizer. Is amazingly easy and the fastest way to build your website. It will import pages, posts, sliders, widgets, theme options and more. Kalium use Conact Form 7 for contact us pages. Amos is one of the most trending items on the market. This theme is perfect for portfolio and web agencies. There are more than 10+ creative demos. The new design trends are mixed into this theme with bubble effects and asymmetric layouts. Amos use Visual Composer and Revolution Slider. Installation is followed with Setup Wizard that setup the plugins and sliders. Contact Forms are built with the Free Contact Form 7 plugin. Amos comes with this advanced and full option panel but very intuitive and friendly. You can change any part of theme styling without writing a line of code.